For anyone with even a modicum of financial sense, you knew it would only be a matter of time before sovereign governments and financial regulators would begin to crack down on cryptocurrencies, especially as their own monetary systems show vast signs of weakness. Yet while these same entities have as yet chosen not to simply destroy the cryptocurrency market outright, there are still many ways they can affect these markets, including using proxies like Google to make it much more difficult to conduct good due diligence before investing. 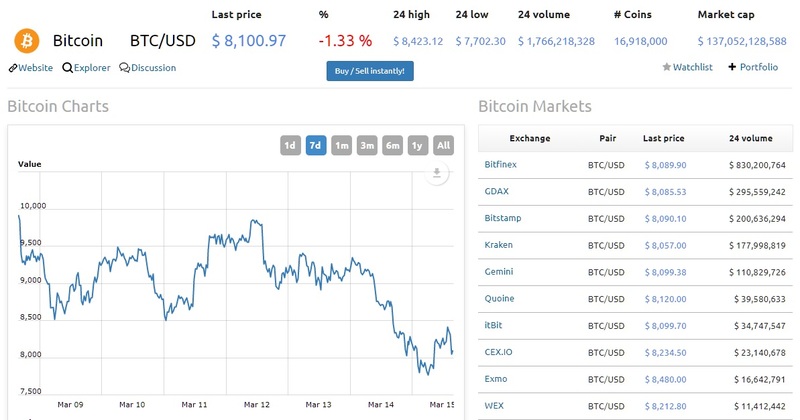 In fact it was just this very threat on March 14 of Google eliminating cryptocurrency advertising that emerged as a primary catalyst for the market hemorrhaging $60 billion in market cap overnight, and where even the industry's bellweather crypto Bitcoin is experiencing headwinds to keep their price above $8000 per coin. 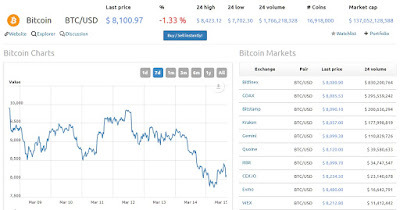 The market capitalization or value of all the world's digital coins stood at $310.4 billion early on Thursday morning, down from $372.9 billion a day before, according to Coinmarketcap.com, which tracks prices based on different exchanges.